In our mission to serve God and His children by laying the foundation for lasting happiness through education in virtue, Bishop Ryan Catholic School is excited to introduce our After-School Strings Academy, expanding the musical offerings available to students through our music department! This free program is open to all Bishop Ryan students in grades three through eight, providing an opportunity for instruction on the violin, viola and cello. 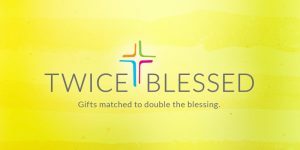 Funds raised through the Twice Blessed campaign will help to provide the instruction, instruments, and musical texts to surround our students in beautiful music.